I have also been posting bits of this information onto the Aerospace Projects Review blog for quite some time, making information available a bit at a time. I find and make available old reports, blueprints, brochures and the like. I was interviewed on "The Space Show" in late 2013 about the importance of researching and preserving these little-remembered aspects of aerospace history; you can download and listen to the MP3 of the interview HERE. I also create accurate and detailed diagrams using CAD software. This all requires a whole lot of research, along with sometimes knowing where to go and who to talk to... as well as a lot of time and effort on preparing the information for release. Funds would allow me to not only devote more time to this, but also to directly purchase what I need to continue the research. Everything from travel to buying things on eBay (some amazing bits of aerospace history pop up from time to time) to the raw materials to create old-school large-format cyanotype blueprints, it all costs. So if you'd like to see this sort of research continued and expanded, here's a chance to help out! The rewards for helping out will include receiving large format scans of vintage aerospace blueprints, PDFs of scanned and restored documents and high resolution CAD diagrams, freshly created. Along with the satisfaction of knowing that you are helping to preserve this otherwise almost forgotten aspect of our history. An illustrated catalog of the past monthly rewards is available HERE. Past rewards are available separately to APR Patrons. Along with the "official" rewards, there will also be, from time to time, other items posted available for various levels of patrons. You get my thanks and a warm fuzzy feeling, knowing that you are contributing to saving the history of aerospace engineering! You will receive the uploaded documents and blueprints at 300 dpi. 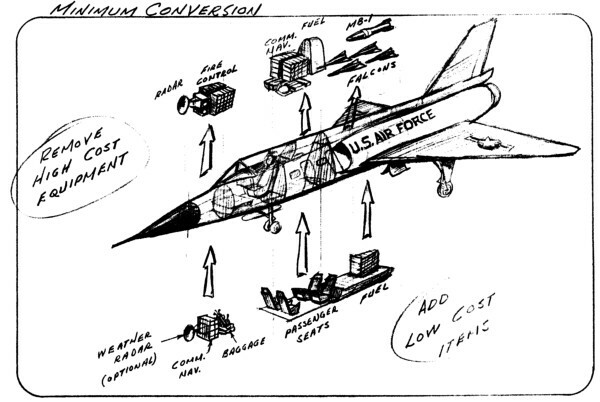 Additionally, you gain access to a growing database of "bonus" aerospace documents, artwork and diagrams at high resolution. You will receive the uploaded documents and blueprints at 300 dpi plus a bonus CAD diagram at 300 dpi, sized for 8.5X11. If you are a patron at this level and you wish to order something, just order as normal and send me an email alerting me to your patron level, and I will refund you the appropriate amount. Clumsy, but it works. You will receive the uploaded documents and blueprints at 300 dpi plus a bonus CAD diagram at 300 dpi sized for 18X24 or larger AND the diagram in the native vector format (DXF). This format is readable by pretty much most image processing and CAD programs and is "infinitely scalable." You will receive all the rewards as the lower-dollar-value Patrons, plus have the opportunity to vote on what will be released next. Plus the knowledge that you are truly helping to preserve aerospace history. An additional CAD diagram will be created every month, as well as the existing rewards.